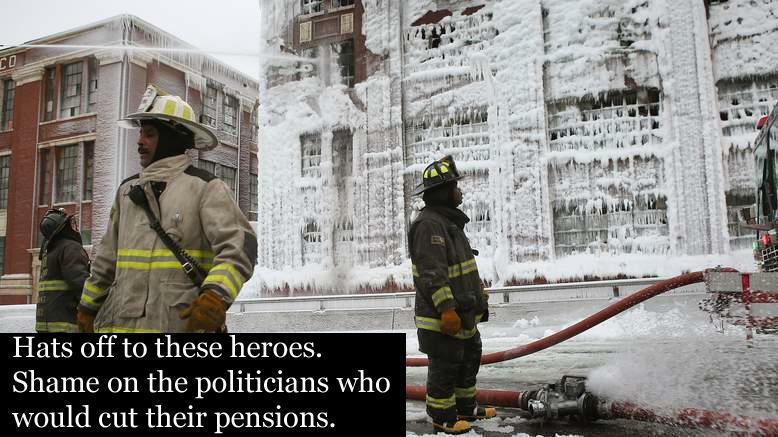 Many have shared striking photos of the awful Chicago warehouse fire on the coldest day of the year, the scene covered in ice. We were more taken by the mental image of heroic public servants rushing to respond in an emergency, while politicians plot to cut their pensions. We think it’s shameful.